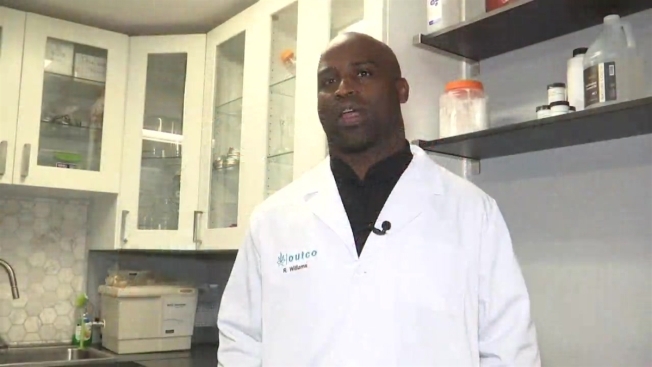 San Diego native, former NFL running back and Heisman Trophy winner, Ricky Williams is now a cannabis entrepreneur. Williams launched Real Wellness by Ricky Williams (RW), a cannabis-based wellness brand created for the health-conscious cannabis consumer. RW has six cannabis-based wellness products derived from Williams' own formulations that can be incorporated into daily health routines. "It's a dream come true for me to merge my passion for healing and my fascination with plant medicines with my entrepreneurial spirit. Cannabis has played an important part in my healing journey, and I feel a responsibility to share what I have learned in the process," said Williams, RW's founder and brand leader. RW's product assortment includes either hemp-derived cannabidiol (CBD), tetrahydrocannabinol (THC) or a mix of both. Through carefully chosen delivery methods of salves, tonics and vape cartridges, all six products allow consumers to harness the positive effects of cannabis in a more conscious and controlled way. "I have had all the input, it’s been all on me creating these formulas. I did research on what people were searching for herbal remedies and medicinal marijuana, I looked at lists of all ailments and consulted with my instructors and mentors and together we came up with formulas we feel really good about," he explained. Williams said what makes his cannabis-based wellness program unique is that he’s integrating herbs and eastern medicine with cannabis. "I’m being a pioneer in this space, adding medicinal herbs to treat specific medical issues that people are struggling with," said Williams. "We’re taking medicinal herbs that have been used traditionally to treat headaches, insomnia and anxiety and combining them with cannabis to have powerful effect." Williams' NFL career was marred by suspensions for drugs, marijuana use and depression. He maintains that’s only part of the story. The other part is because of those problems he sought out information on alternative medicine and holistic healing, leading Williams to become a holistic healer. Currently, Williams is in the process of getting his Ph.D. in Chinese medicine. “In 2004 I retired from NFL and failed a drug test, and the story became 'Ricky Williams deserts team and went to smoke pot.' That’s part of the story, but there’s more to it," he said. "When I left I started to train as a healer, I started to study and learn about herbs, so it dawned on me cannabis is an herb and these are other herbs so I started playing with herbs and creating formulas to help myself and family and friends." "I’ve done a lot with my life and I’ve transformed what at one time was a negative into part of my story and healing," he added. "The most exciting part for me is the story that at one point people thought it was one thing but I’ve pushed through, educated myself, gained knowledge and wisdom and have now offered something to my community." RW's product line is available at 11 dispensaries in San Diego.